2245THW, Tube Guitar Amp Head from Marshall in the Handwired series. Marshall completes its Handwired series with three new combos and an amp head. The Handwired Series of all-valve amps celebrates the legacy of more than 50 years of Marshall’s influence on the sound of rock and British blues music. With this four new amps, there are now seven Handwired reissues, and counting. 2245THW: 30W amp head that recreates the "1962HW Bluesbreaker" amp head, which is itself based on the JTM45. It has the same specs as the 1962 model, namely four ECC83 and two KT66 tubes, plus a GZ34 rectifier. According to Marshall, the rectifier helps recreate the output stage compression and sustain associated with the '60s "Bluesbreaker." It also features Drake transformers, a tube-driven tremolo with speed and intensity controls, two channels, two inputs, two volume controls, a three-band EQ, and a presence control. 1962HW: 30W combo that recreates the two-channel Series II 1962 2x12 combo famously used by Eric Clapton with John Mayall's Bluesbreakers in 1966, and where it gets its nickname from. Its topology is identical to the first series, with four ECC83, two KT66 and a GZ34 rectifier. 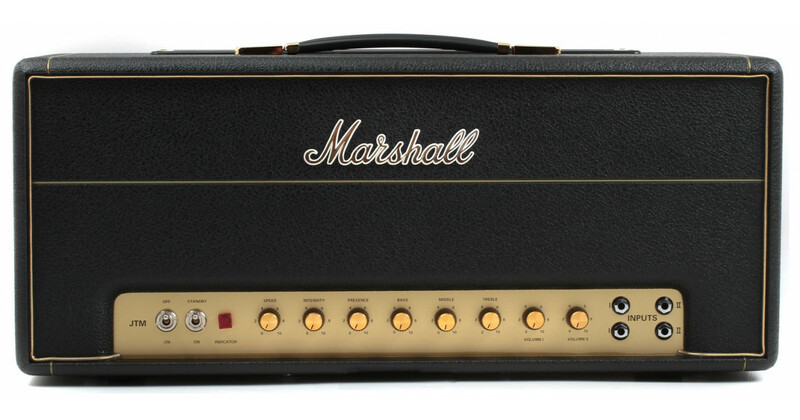 However, Marshall modified the dimensions of the enclosure to make it closer to the original Series II. Just like the 2245THW amp head, the 1962HW combo features two channels, two inputs, a tremolo, and the same controls. Marshall included two 12" Celestion G12C Greenback speakers with 16 Ohms impedance. 1958X: hand-soldered reissue of the 18W 2x12” 1958 combo. Two-channels and two-input amp equipped with a ECC83 tube at the preamp stage, one ECC83 and two EL84 (cathode) at the output stage, plus an EZ81 rectifier. It features one tone and two volume controls, as well as speed and intensity controls for the tremolo. Two 10" Celestion G10F-15 Greenback are responsible for the sound reproduction. 1973X: recreates the two-channel 1973 2x12” combo produced between 1966 and 1968. It features a tube tremolo. two inputs, one tone and two volume knobs, as well as speed and intensity controls for the tremolo. Inside are two ECC83 tubes for the preamp and one ECC83 and two EL84 (cathode) each for the power amp, coupled with an EZ81 rectifier. To recreate the sound of the T1221/61 Greenback used on the orignal, Marshall picked two "aged" 12" Celestion G12M-20 Greenback speakers. All amps come with a footswitch, are hand wired and Made in England. 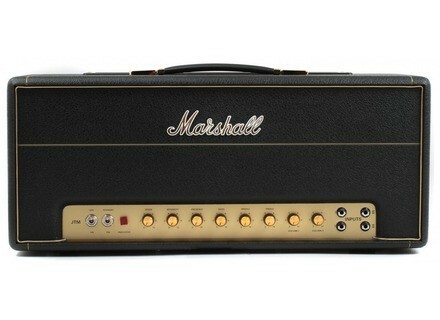 For more information on the Handwired Series go to www.marshallamps.com.